This newly established community, exhibiting 76 pristine homes set within beautiful Cambridgeshire is Queensbridge Homesâ&#x20AC;&#x2122; latest development; Beckett Hamlet. Influenced by the rich heritage of the surrounding area, we deliver a scheme which seamlessly integrates with the beautiful town of Wisbech. Featuring Georgian inspired architecture, coupled with our highly acclaimed Gold specification, we have been able to provide the quality of homes we envisage for each of our projects. Uncover how living at Beckett Hamlet can broaden your horizons and provide the life you have dreamed of. The Development A collection of 64 new build houses along with 12 apartments, which together create a new housing development situated within the historic town of Wisbech. Unobtrusively located within this Cambridgeshire Countryside town, Beckett Hamlet boasts views that go far beyond the horizon, with endless rolling hills on display. Designed to both compliment and add to the townâ&#x20AC;&#x2122;s beauty; the Georgian style architecture alongside the Queensbridge Homes Gold interior specification meet the areas prestigious standards. Supporting Local Communities We are passionate about building a better future; delivering sustainable developments is a major aspect of achieving this. Working with local authorities we can gain invaluable advice that allows us to reduce the impact we have on the area, whilst still delivering the best quality of life to the residents and their neighbours. We invest a lot of time before we start building considering the wildlife, local landscape and the effect that we will have on the development location. Understanding we are accountable for local ecology and the footprint we leave, we go to great lengths to not only protect but also enhance the area. Renewable Energy Based in a tranquil countryside setting, Beckett Hamlet is off of the Gas grid, we have upheld the areas Green approach. We equip your home with a fully modern electric system with the addition of a sustainable and eco-friendly renewable energy source. This not only cuts down on carbon emissions but also means your house produces its own energy, which in turn saves you money on your energy bills. Conserving Endangered Species Intruding on wildlife is unfortunately unavoidable when delivering development projects which are situated in idyllic settings such as Beckett Hamlet, Wisbech. During our inspection processes, we uncovered a clan of Badgers; not wanting our development to come between their habitats and our future homes we have built them several alongside our development. Upgrading their habitats ensure they have the best quality of life and keeps the local wildlife undisturbed. 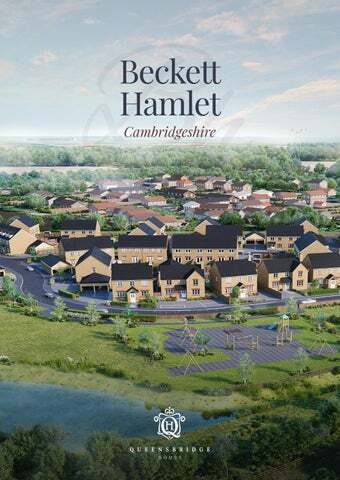 Carefully positioned in the reserved Cambridgeshire countryside, our latest development; Beckett Hamlet has truly blossomed. Boasting a tightly-knit community in an idyllic location; life at Wisbech will bring all of the pleasures of rural countryside life, with the delights of a big city never far away. The Catherine House offers a flowing design, which is perfect when accommodating friends and family. This two-storey terraced home consists of 1065 square foot in floor space. The ground floor features an open plan kitchen-dining room with a bar area in the centre, paired with French doors proving direct access to your private garden, giving you a whole host of options when catering for guests. A set of double doors split the kitchen-diner and the living room; giving you the option to join these two large rooms together when needed. On the ground floor, there is also a W.C and storeroom. Following the stairs, to the first floor, you have a master bedroom which boasts en-suite facilities, two further bedrooms, a family bathroom and additional storage by way of a second storeroom. Outside these properties, you are met with your private driveway. Having space to accommodate 2 or 3 vehicles, selected units have a private garage attached. The Isabella House is the perfect starter home, at 914 square foot, it boasts three well-proportioned bedrooms and plenty of storage options. The ground floor features a spacious lounge area which is complemented by a bay window allowing for plenty of natural light, this room is connected to the open-plan kitchen-dining room through a set of double doors. Featuring a bar area and French doors that connect to your private garden; your downstairs area has been designed to accommodate dinner parties perfectly. A downstairs W.C and two store rooms provide additional accessibility within the Isabella House. The first-floor features the master bedroom which has en-suite facilities as well as two further bedrooms and the family bathroom. Isabella House gives you 2 parking spaces, this is made up of a private driveway and/or a private garage. Sophia Apartments Sophia Square exhibits the apartment complex of our Beckett Hamlet development. Featuring both one and two bedroom apartments, they prove an excellent addition to the overall development. Designed to offer a modern setting that embraces open plan living. Our skilled design team have made the most of the space available. A bright, open plan kitchen-living area makes quality time together and socialising effortless. Master bedrooms with large windows to maximise the natural light available and of course to showcase the Gold specification featured within. All apartments receive their own allocated parking space. Each block also includes two additional spaces for visitors. Surrounded by Beauty Boasting a blend of beautiful rural countryside with a splash of modern-day technology; Cambridgeshire is a county with strongly rooted heritage and an abundance of emerging opportunities. The surrounding cities of both Peterborough and Cambridge are home to many breakthrough tech companies; emerging rapidly and leading the way in their respective fields, they offer a wealth of opportunities. However, the Cambridgeshire beauty has not been lost through the areaâ&#x20AC;&#x2122;s explosive growth; boasting innumerable artefacts that uphold the counties legacy, from the picturesque grounds of the world-famous University of Cambridge to the endless Georgian brick streets of Wisbech; claimed to be the best the UK has to offer. With exclusive access to the North Sea, you can access services to both expand and broaden your businessâ&#x20AC;&#x2122;s horizons. Focused on growth, opportunities and connectivity, this City is both rich in history and now backed by leading corporations. A treasured national park. Showcasing sprawls of natural beauty, there are countless adventures for you and the family. Situated within Cambridgeshire there is quick and easy access to a multitude of amenities. Wisbech allows you the perfect balance of country life and beauty, alongside modern day needs and the accessibility we have all become so used to. There is a multitude of opportunities provided by the surrounding areas; from the Silicon Fen which is a magnet for cutting-edge technology and science companies, to one of the largest creative clusters, based within Leicester. Our development is enclosed by a ring of growing cities which are all within a commutable distance. Opportunities are plentiful when living at Wisbech. This University is widely acknowledged as one of the leading higher educational institutions in the world. Cutting-edge science and technology companies have clustered together to provide an expanse of opportunities. A central city that homes multiple leading organisations HQs and one of the largest creative clusters. Rich in history, Wisbech retains its old-world charm whilst keeping up with its modernising neighbours. Focusing on natural beauty and heritage, the town has preserved its beautiful Georgian built homes and surrounds them with award-winning gardens and horticultural displays. Tranquil walks and unparalleled views are featured everywhere throughout this town. A harmonious community has maintained a successful bi-weekly market that brings the town together and has put them on the map. Showcasing independent businesses and locally sourced produce, this market offers the residents an opportunity to come together and exhibit their passions, socialise with neighbours and pick up some quality goods. As the town lies on the cusp of the A47 there is a simple passage to adjoining cities, connecting with Birmingham, Peterborough and Leicester. Paired with the leading city of Cambridge, only a short drive away, you are in commutable distance from a plethora of major cities. What gives Wisbech the edge is the exclusive access to the North Sea, through the Port of Wisbech, offering a range of services and opportunities; an advantage which can take local businesses to the next level. Voted the top place to invest in the UK Wisbech has been hitting headlines for all the right reasons. Recently voted the number one place to invest within the UK, the shift of businesses and entrepreneurs over to Wisbech opposed to the overinflated City of Cambridge demonstrates exceptional potential for this town. There are advanced talks from the Fenland District Council to inject funds to regenerate the towns local transport links only adding to the areaâ&#x20AC;&#x2122;s desirability. Situated within a commutable distance to multiple growing cities whilst knowing your Town is growing at a phenomenal rate; your home is also an investment for the future. Your Space We provide you with a new space that has been hand built with care and exceptional precision. Our meticulous standards allow us to deliver these new properties to such a high standard that we are proud to pass on to you in the form of your New Home. With quality running through each home and apartment, you are met with a sense of superiority the second you enter any Beckett Hamlet property. Exhibiting quality materials, excellent finishes and an exceptional level of specification in every room. We aim to deliver total functionality within each home, designing with class whilst giving you the flexibility to style your new home as you wish. 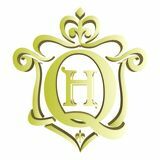 Queensbridge Homes are a London based development company with a focus on medium value residential apartments and houses, close to Town and City centres. We are passionate about developing new homes in great locations throughout the UK that will prove to be the perfect home and a great investment. Rotherham A tightly-knit community ties our Rotherham development together. Featuring 49 properties, all of which boast the Queensbridge Homes Gold specification. The Courthouse Ramsgate This coastal development boasts 87 apartments which all feature our prestigious platinum specification, coupled with its excellent location allows residents to embrace a truly premium living experience. The Hallmark Birmingham Situated in the iconic Jewellery Quarter of this booming West Midlands City, residents have easy access to Birmingham City Centre whilst featuring our prestigious Platinum specification. This brochure and all of the information provided herein, including but not limited to; visualisations, floor plans, measurements, materials, electrical positions, room/garden sizes, specification and layouts are for illustration purposes only and are subject to change. Whilst we have taken great care to ensure the information is accurate, all measurements and floor plans are considered to be approximate only and exact layouts and sizes may vary. The dimensions are not intended to be used for carpet/appliance sizes, items of furniture or any other required measurements. Energy produced by the renewable sources that are featured within the homes are only a contributing factor and does not mean zero cost energy bills. The expected portion of energy contribution is to be confirmed. Please ask a Sales Consultant for further information.